NOTE : I wrote this section on Nov 2017. You may see a little bit (or widely) different screenshots from what you see here depending on when you are doing the download. 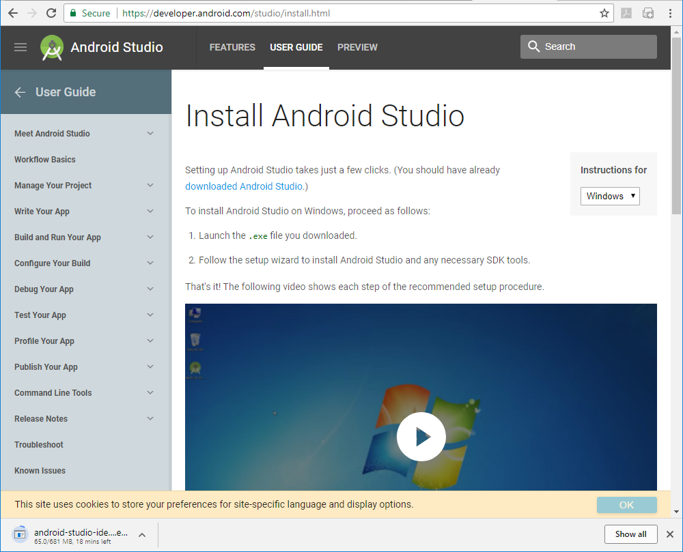 As many other software, downloading Android Studio is very simple. 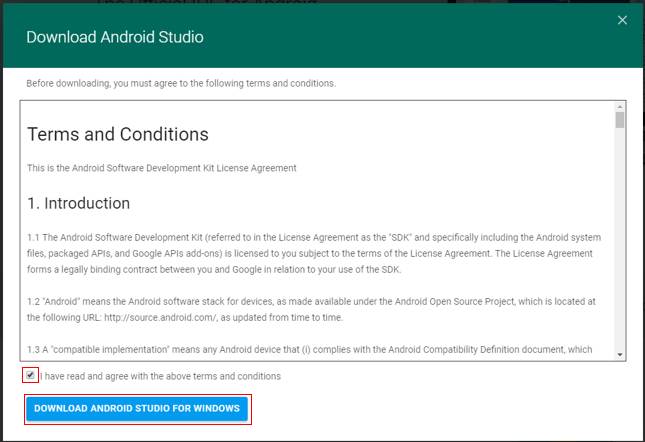 But the downloaded package would not contains all the components that are necessary to fully utilize the Android Studio. 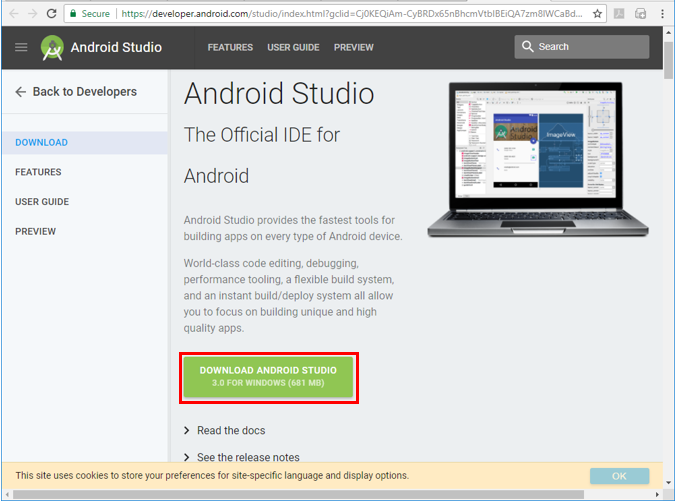 This download is to get a kind of minimum set of packages for Android Studio. Then you would see the license agreement window as shown below. Check the license agreement and click the download button.